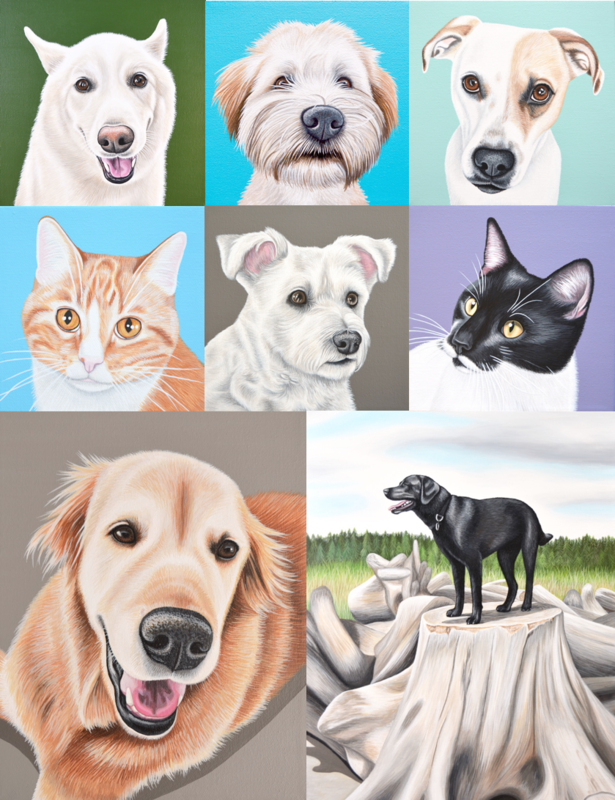 Larger/individual pix of each of these paintings can be viewed on my Pet Portrait Portfolio page if you’d like to take a peek. 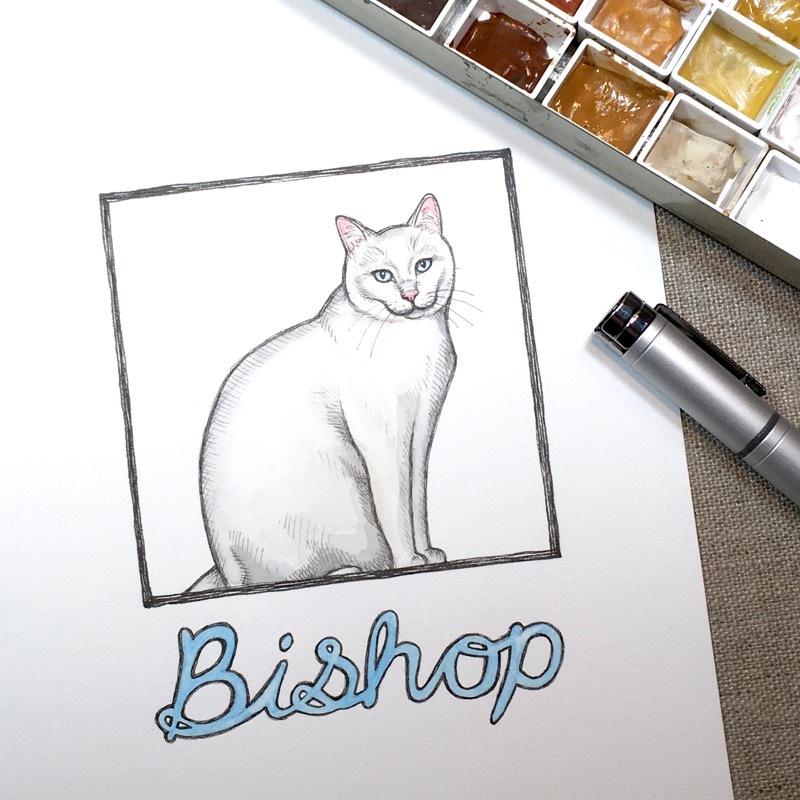 In addition to my regular pet portraits, I received a few custom requests this year as well. But instead of making this the longest blog post in the history of time lol, I thought it might be nice to feature those in upcoming blog posts instead to give a little more info on each. So stay tuned for those! 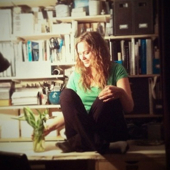 At the end of the summer this year I got to spend a few days with family in BC. 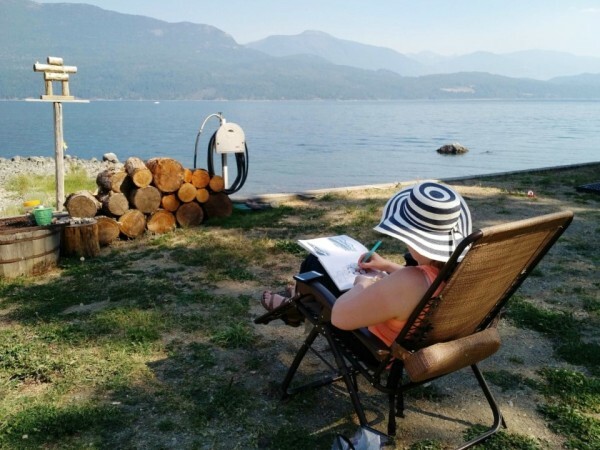 While there I squeezed in some plein air painting (aka outdoor painting) with my mom, and my sister caught a pic of me sketching in action (above). 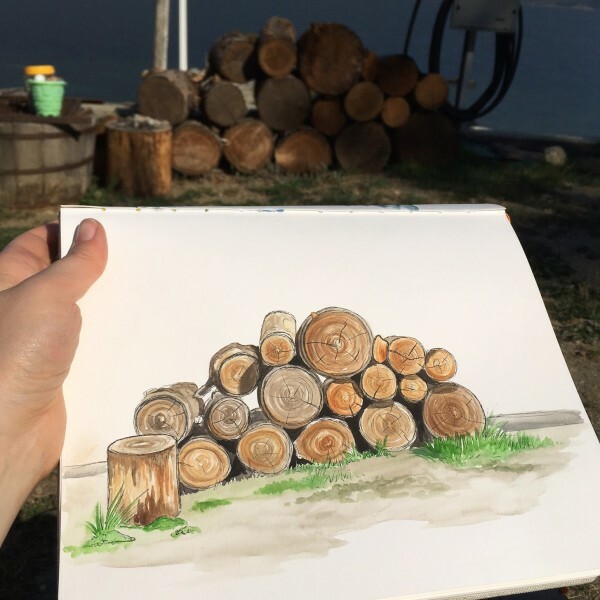 There was just something about the colours of that firewood pile and the angle of the sun creating cool shadows on it that caught my eye – I couldn’t help but sketch it! 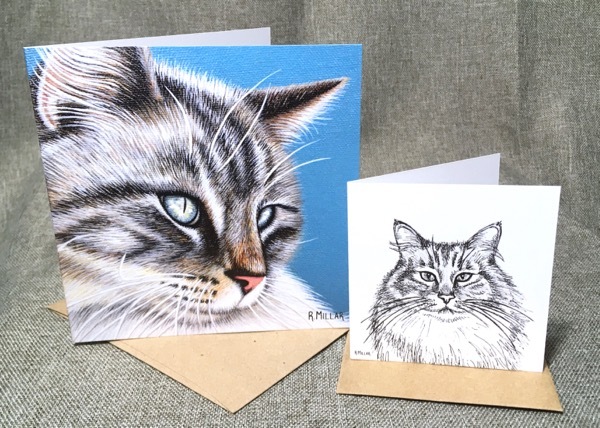 I made the drawing first in pen, then went over it with watercolours mixed on the spot. On October 1st I will have a booth set up at Sit Happens’ Dog Appreciation Event, where their existing clients / prospective clients / as well as general public & dog enthusiasts are all invited to attend! This one-day-only event will feature information sessions, a whole marketplace area with various dog related vendors, AND there will even be a BBQ hosted by Global Pet Foods (…featuring BBQ food for people, not for doggies I presume lol). 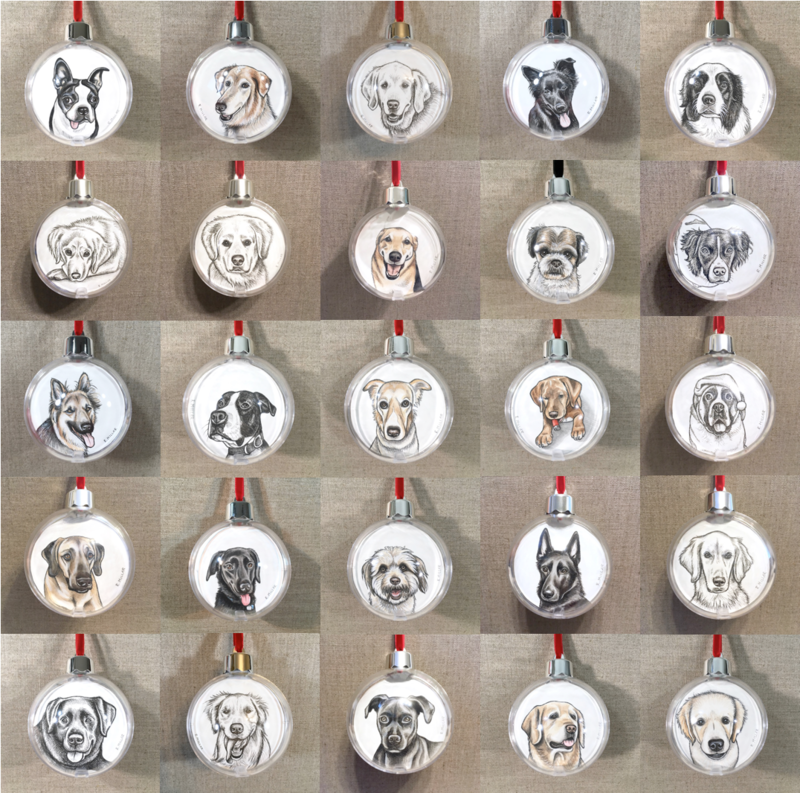 Please note: It is my understanding that this will be Sit Happens’ only event for fall/winter 2017, as they WILL NOT be hosting a Canine Christmas this year like previous years. 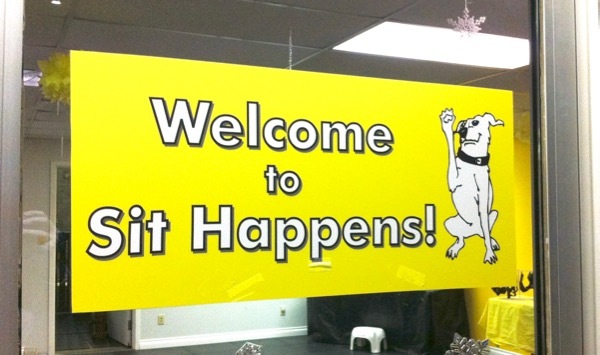 Tagged as: events, Sit Happens! 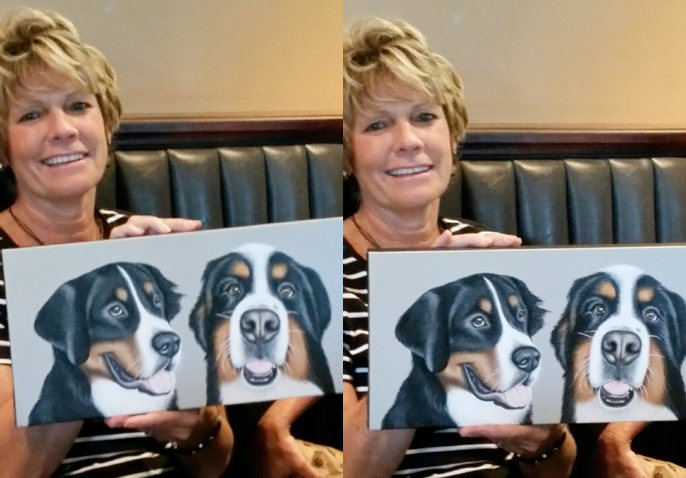 Last month Kooper & Sherman’s painting was given as a surprise gift from a group of friends to celebrate a co-worker’s retirement at the end of the 2016/2017 school year over in Wisconsin USA! 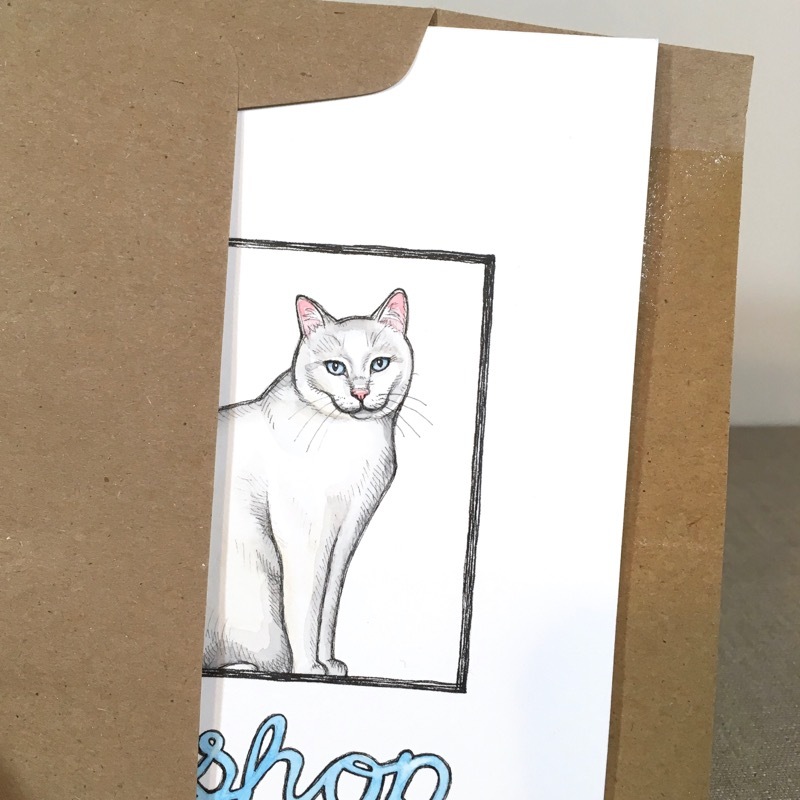 A cool side note to mention: 10% of all sales from the cafe’s retail area go right to Meow Foundation! Which is the local cat-focused humane society that is connecting the kitties to the adoption area as well. I can’t wait to go check everything out this weekend! 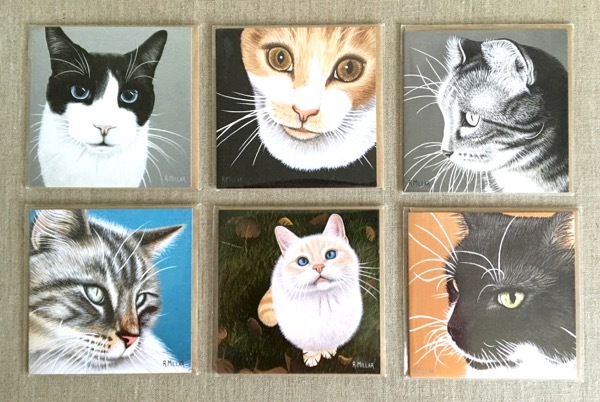 For more detailed information on the cafe, please visit www.RegalCatCafe.com. 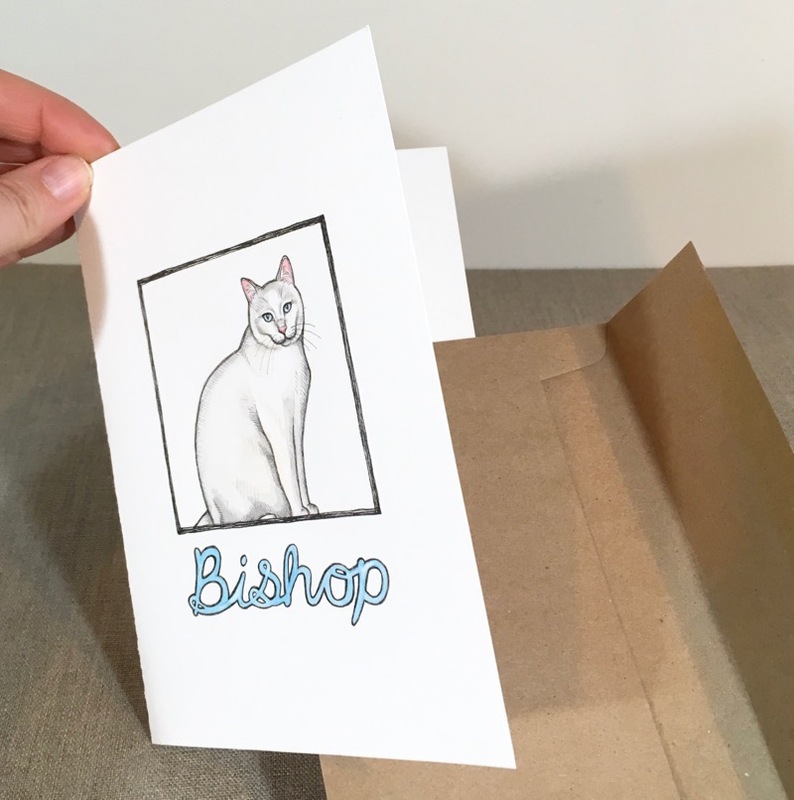 It was also requested that I include custom name text detail on the front of the card, and in blue to match the kitty’s eyes. 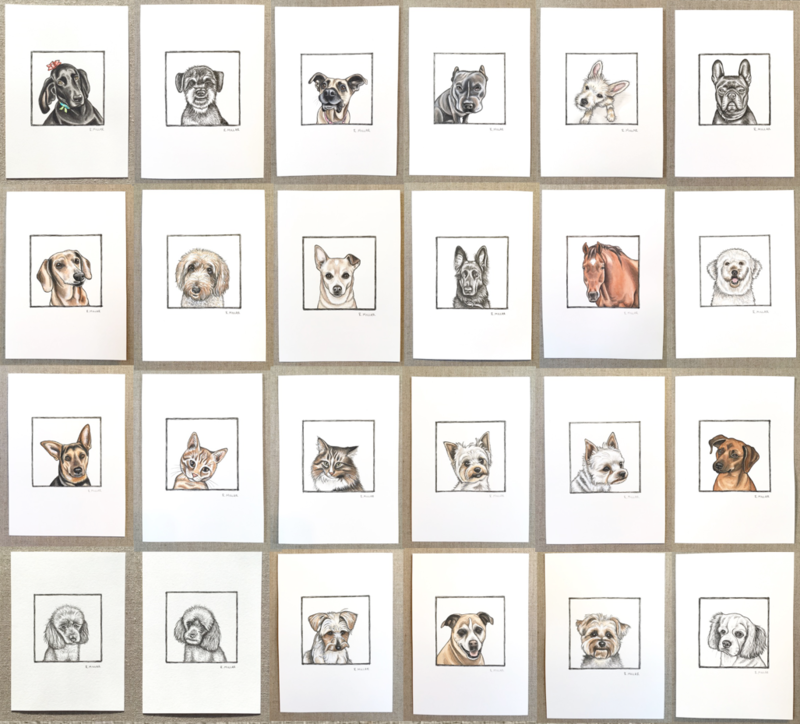 Last week this fun pair of 8×10 black & white Pets-a-Sketches headed out of my studio. 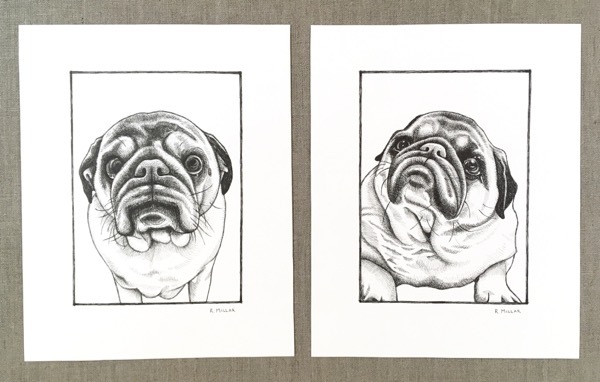 An interior designer contacted me to create them featuring her clients’ two pugs (Bear & Sam), as a thank you gift for their recent reno project. 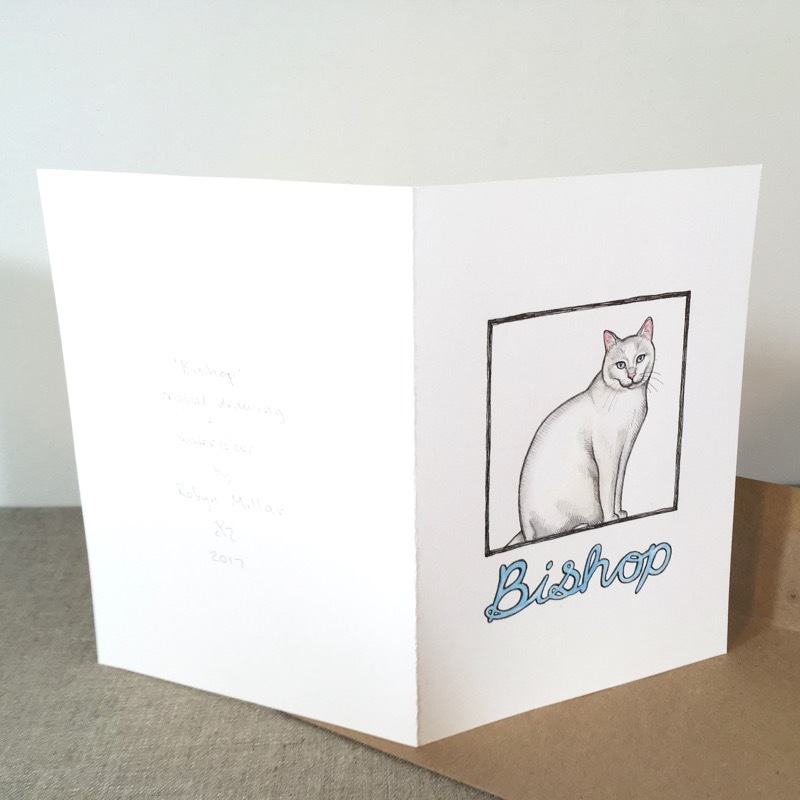 As soon as she sent me the photos to sketch from I couldn’t wait to work on them!! So cute. 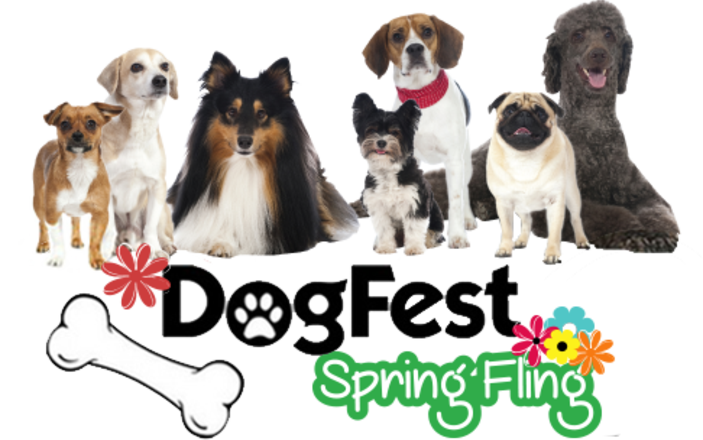 I’m excited to share that I will be a vendor at DogFest‘s 1st annual ‘Spring Fling’! It’s on Saturday May 6th 2017, and is a one-day-only style market & doggie playdate event. 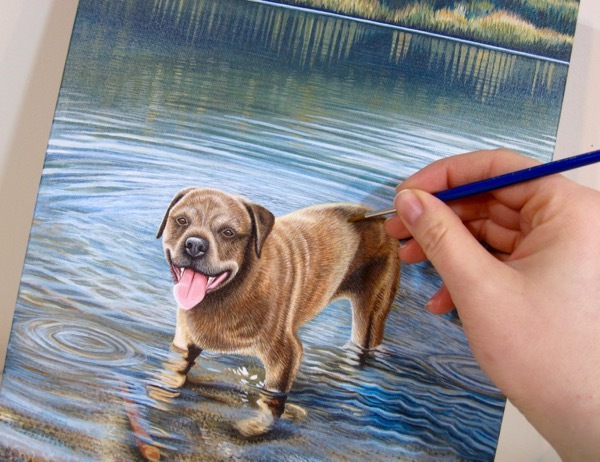 If you came to DogFest in December, this one will be similar but even bigger & better! – THERE WILL BE FOOD TRUCKS! 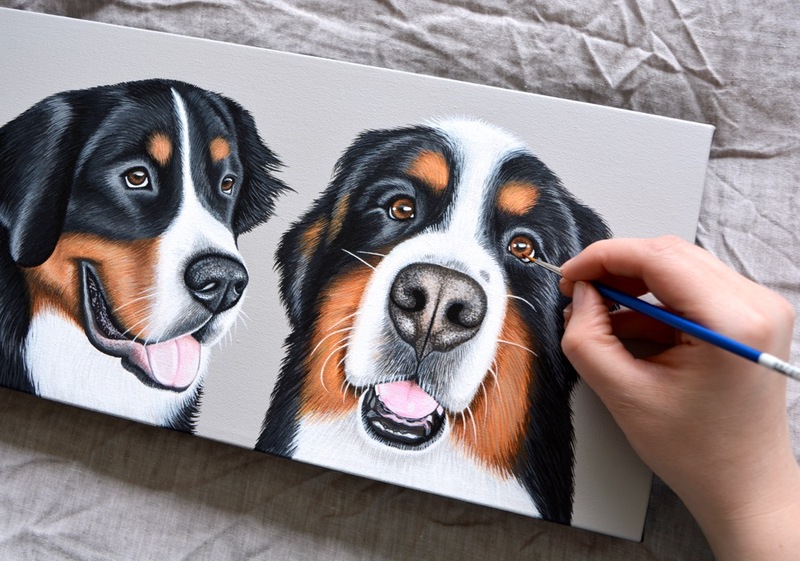 Earlier this year a client contacted me to paint a special portrait of her beloved Winston. Sadly, he had passed away a few months before . 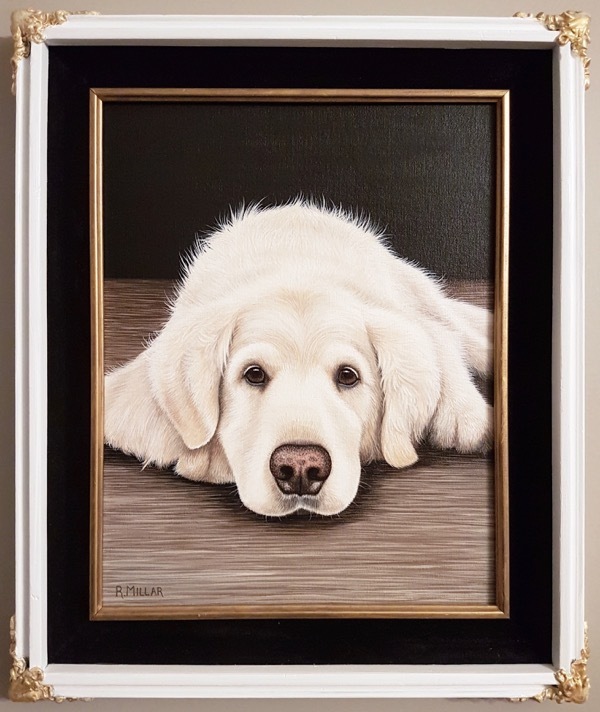 Then after seeing a painting I had created for one of her friends at Christmas time, she reached out to me to paint a portrait of her own. 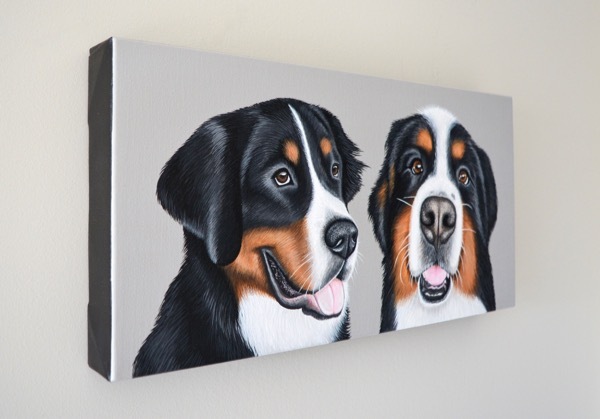 Luckily I had some practice with canvas boards and picture frames last year while working on an order for a piece called ‘Odie’, so I knew what I was getting into. And since she sent such detailed measurements, I was able to confirm that the 11×14 canvas board would just pop right into the frame when it was ready, so that was really handy too. I think this frame is absolutely perfect for Winston’s painting! The colours are so complimentary and warm, and I love the varying textures between the white wood, black velvet, and gold accents. I’m really glad we went with the canvas board format so she could use this particular frame! So neat. 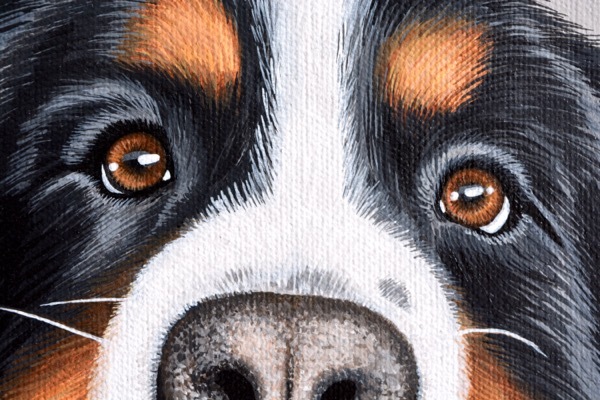 For a full image of Winston’s painting, please visit my Pet Portrait Portfolio page. 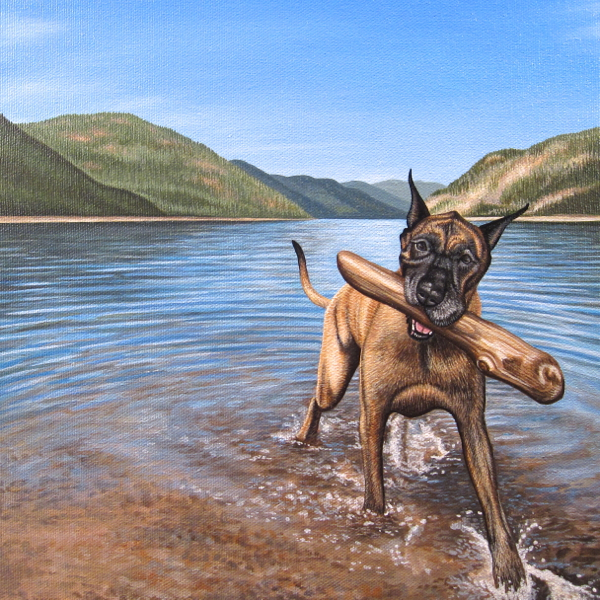 I was contacted by a client to create a painting of his dog – King – based on a photo taken at a beautiful lake in BC. 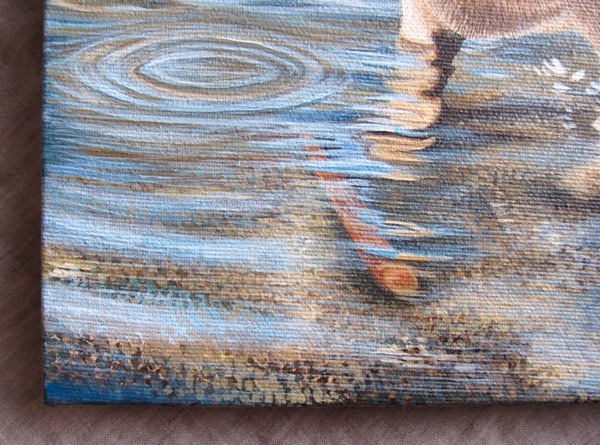 He reached out to me because he saw a piece that I had painted previously of a dog in a similar setting (pictured towards the bottom of this post). 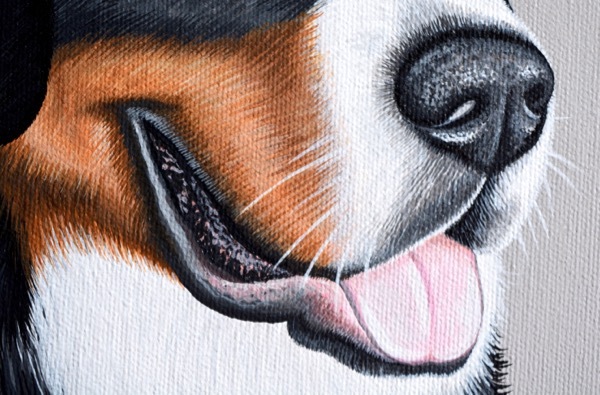 A full image of King’s painting can be viewed in my Pet Portrait Portfolio.